A January 8 event at Baltimore’s Basilica raised more than $12,000 for My Sister’s Place, an organization that provides services for homeless and impoverished women and children in Baltimore City. On January 8, brass players from the National Symphony Orchestra, Pittsburgh Symphony and Opera Orchestras, and The Philadelphia Orchestra, as well as musicians from Canadian Brass and Semper Fi, joined their brother and sister brass and percussion players from the Baltimore Symphony Orchestra to perform a free concert that was open to the public. 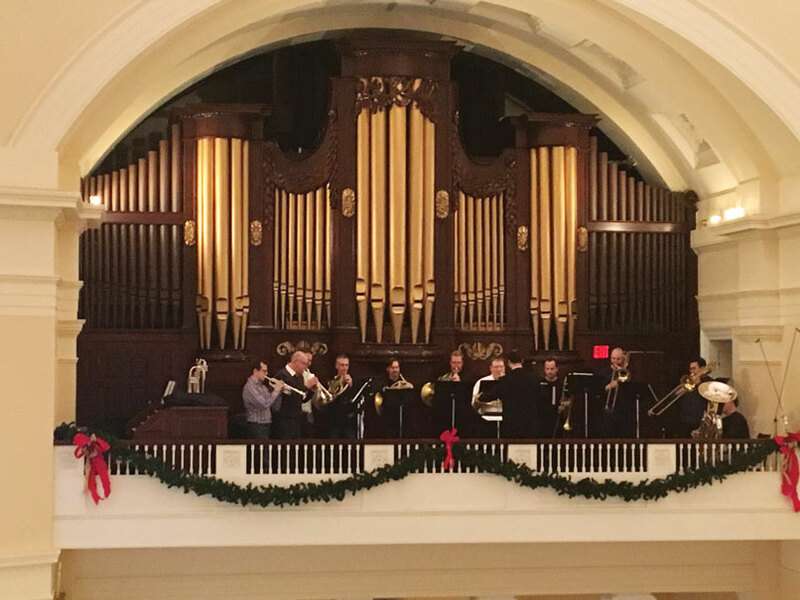 The event, which took place at Baltimore’s Basilica of the Assumption, America’s oldest cathedral, raised more than $12,000 for My Sister’s Place, an organization that provides services for homeless and impoverished women and children in Baltimore City. 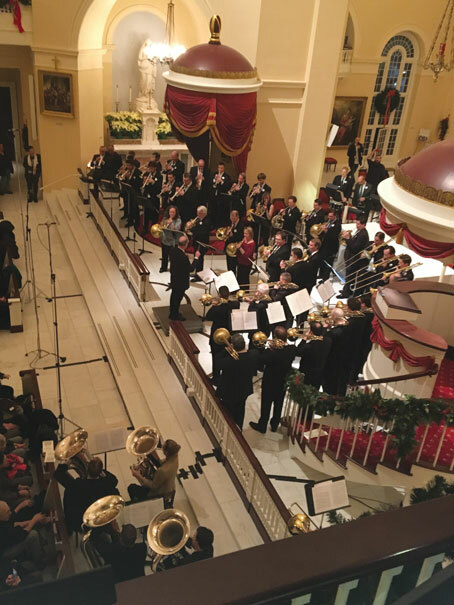 Baltimore Symphony Musicians’ brass extravaganza gathered musicians from several regional orchestras to support a Baltimore charity, while publicizing the BSM’s contract issues. 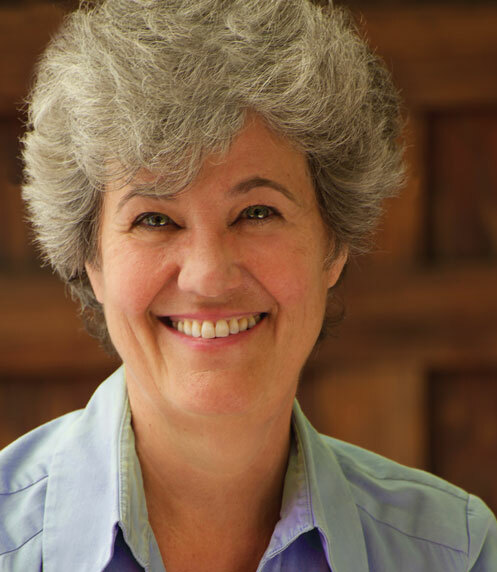 The concert was also a display of support for the Baltimore Symphony Musicians as they fight to retain their 52-week contract and other hard-won provisions gained at bargaining tables over decades of contract negotiations. 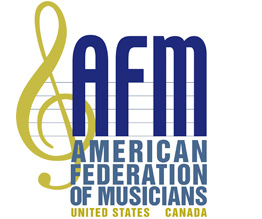 As of midnight January 15, the four-month contract extension between management of the Baltimore Symphony Orchestra and its musicians, represented by AFM Local 40-543, had expired; BSO management said it is not interested in signing another extension. 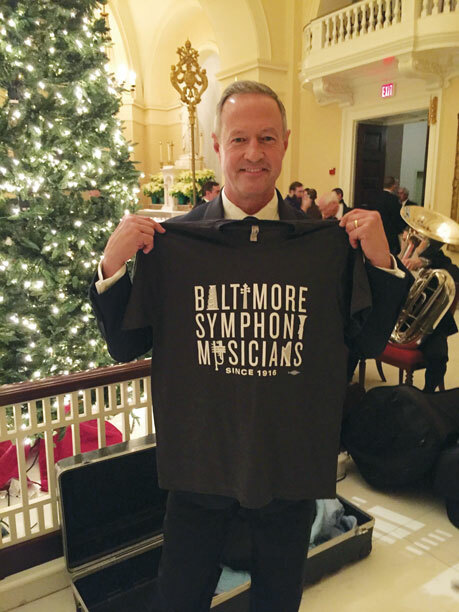 Former Baltimore City mayor, former Maryland governor, and former Democratic presidential candidate Martin O’Malley, who was host for the Baltimore Symphony Musicians’ successful concert at Baltimore’s Basilica, shows off his official BSM t-shirt. O’Malley was made an honorary member of AFM Local 40-543 (Baltimore, MD) in April 2000. The Baltimore Symphony Musicians are focused on maintaining a competitive compensation and benefit package that will allow the organization to attract and retain high caliber musicians, maintain and improve the health and safety language in the CBA, and empower the BSO to bring transcendent performances to audiences in Maryland and beyond. 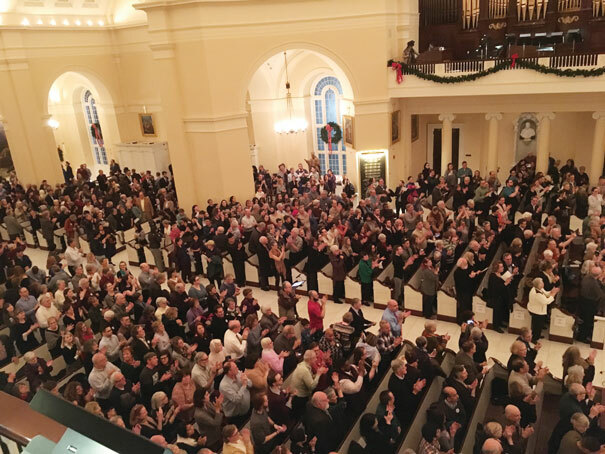 A standing-room-only crowd of supporters packed the Basilica to support the Baltimore Symphony Musicians. In a statement issued January 16, musicians say they will continue performing on the stages of the Joseph Meyerhoff Symphony Hall and the Music Center at Strathmore unless management locks them out or unilaterally stops respecting contract terms. 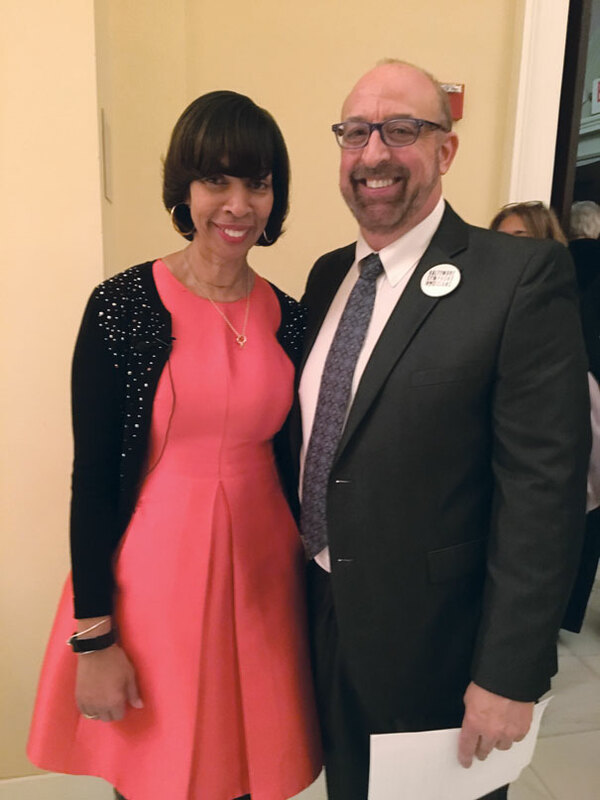 Baltimore City Mayor Catherine Pugh and BSO Players’ Committee Co-Chair and Percussionist Brian Prechtl. Baltimore Symphony Musicians remain committed to serving their community by improving people’s lives through music. Visit their website (BSOmusicians.org) and Facebook page (www.Facebook.com/BaltimoreSymphonyMusicians) for more coverage of the January 8 concert and for updates of their contract talks.